On radical empathy and trying to be a human being. I teach kids writing part-time. One of the things I teach them is how to actively listen. “When you interview someone, you have to listen, really listen,” I tell them. “You have to listen hard to what they’re saying. You have to be an active listener.” I tell them variations of this. I tell other writers variations of this, too. I say I’m working on being an active listener, an empathetic listener. I say this will help my “craft,” though I don’t like to use that word (it seems much too lofty for magazine writing). What I don’t tell anyone is the truth. That I listen most when I’m most depressed, that this is my way of hiding how toxic I am, how poisonous my company can be. Does this sound virtuous or self-pitying? I would prefer it to sound virtuous, as though I were saving my bad energy for those who deserve it (i.e. myself). I suspect it sounds self-pitying and rather self-promoting. Look how good I am! I practice empathy like overachieving children practice the violin. Fumbling, out of tune, cringing at their audience, balanced narrowly on the edge of embarrassed and proud. Listening closely allows me a way out of nearly every social situation. It doesn’t require me to pass judgment or think analytically. I have sat quietly and listened while friends describe their ongoing affairs with married men. I have nodded and told them I could sympathize, that I could see how hard it was on them. I have listened closely while someone very close to me told me about her suicidal thoughts. I looked at her, staring into her face. “I understand,” I said. I offered nothing else. I have let justifications sweep over me quietly as one friend eviscerates a mutual friend, tearing them to tiny, petty shreds. I nodded. She needed to vent. I get it. I always get it. This is my biggest strength and my greatest weakness. I am a big bloody mess of emotion that drips all over everything. Am I staining your carpet? I’m so sorry. I have had things ruined by this problem, too. Please forgive. It’s a complete cop-out though. It’s a way to phone-in human interaction. It seems so deeply virtuous, so wonderfully kind. Empathy is so important—I do really believe that. But I also feel an excess of empathy sometimes, a porousness in myself that I fear goes both ways. The world bleeds so easily into me, I must bleed so much onto it. I read about someone who was practicing radical honesty. They weren’t allowing themselves a single lie, not even the kind we call white. No “I’m almost there, just give me five minutes!” No “Seriously, it tastes great!” I find that idea terrifying. Honesty all the time can be exhausting and dangerous. But maybe empathy all the time is just as bad? I believe that there’s a brutality to any kind of excess, just as there’s a beauty in excess. Maybe brutality and beauty go hand in hand and they always will—the older I get, the more I suspect this is true. Or maybe I just don’t understand the world yet. Maybe if I listen more closely, I will. 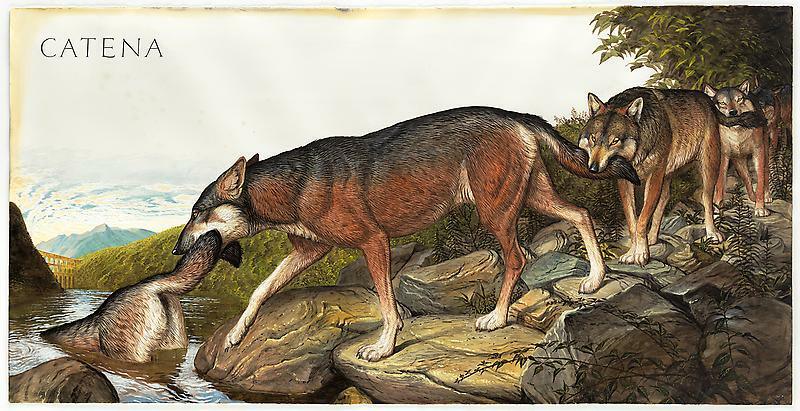 Image by the great Walton Ford, whose work I admire so, so much. < Previous Iceland is magic. Next > A little reminder of what’s important. Wonderful post Katy, it is amazing but I had a very, very similar conversation with an older gentleman just yesterday. We spoke about empathy and about some who ( me) feel all the emotions of life so deeply, so acutely, with not much of a filter. Most days I am happy to have such a sensitive receptacle for all the thoughts, feeling, and conversation, ( observations, too) that stir around me. Some days my head gets a bit clogged by too much emotion, then I have to retreat and have some non talking, silent time, to slow things down….catch my breath you might say.